Our services directory lists everything possible that we think could be of use and which doesn't fit nicely elsewhere. 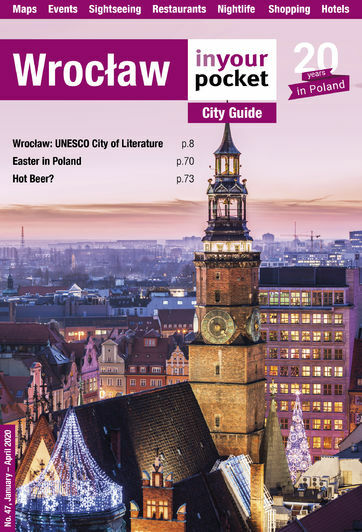 Use the listings here when things go wrong and you need to find a doctor or embassy, or when you've become so smitten with Wrocław that you've decided to relocate here permanently. Whether a traveller or expat, we hope you'll find these listings helpful. In Wrocław, unfortunately, unless you are German or Austrian, your nearest consulate or embassy is likely in Kraków (272km away), Prague (335km), Berlin (346km) or Warsaw (347km). Currency exchange offices ('Kantor') are easy to find in Wrocław, but as with any international destination, it's imperative to check the rates to ensure you aren't getting fleeced. The general rule is you should never change your money at city entry points, particularly at the airport where the rates are almost criminal. To help put your mind and your wallet at ease, we've assembled a list of well-located exchange offices that won't rip you off, and don't take a commission. In the case of an emergency, mobile phone users should dial 112 to be forwarded to the police, fire department or ER. From a landline or public phone dial the following: Ambulance: 999; Fire: 998; Police: 997. English, German and Russian speakers have separate lines specifically designed for foreigners in distress: +48 608 599 999 or +48 22 278 77 77 (mobile or landline). For urgent medical emergencies, use the listings below. The emergency room in PL is called SOR and should only be visited when absolutely necessary. In less urgent crises we recommend you visit a private clinic, where you'll get better service and avoid the notoriously long queues in Polish hospitals. If you don't have your own gadgets we offer a few Internet cafe options below. There are many post offices around Wrocław, including on the market square. The enormous satellite-crowned edifice at ul. Krasińskiego 1 is certainly the largest and most incomprehensible; it is also the home of the Post & Communications Museum. Good luck, gringo.